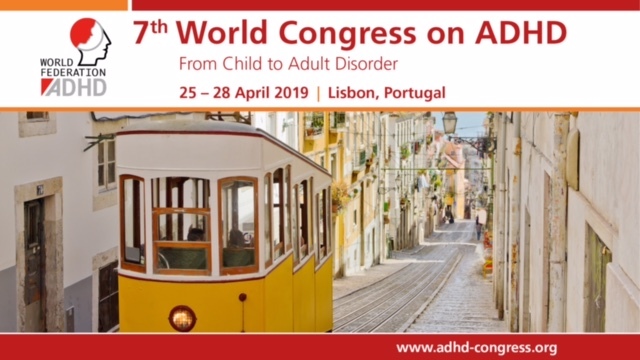 European Network Adult ADHD – The association between executive functioning and psychopathology: general or specific? The association between executive functioning and psychopathology: general or specific? BACKGROUND: We modeled both psychopathology and executive function (EF) as bi-factor models to study if EF impairments are transdiagnostic or relate to individual syndromes, and concurrently, if such associations are with general EF or specific EF impairments. METHODS: Data were obtained from the Tracking Adolescents’ Individual Lives Survey (TRAILS; N = 2230). Psychopathology was assessed with parent-report questionnaires at ages 11, 14, 16, and 19, and EF with tasks from the Amsterdam Neuropsychological Tasks program at ages 11 and 19. Bi-factor models were fitted to the data using confirmatory factor analysis. Correlations were estimated to study the associations between general or specific components of both psychopathology and EF. RESULTS: A bi-factor model with a general psychopathology factor, alongside internalizing (INT), externalizing, attention deficit/hyperactivity (ADHD), and autism spectrum (ASD) problem domains, and a bi-factor model with a general EF factor, alongside specific EFs were adequately fitting measurement models. The best-fitting model between EF and psychopathology showed substantial associations of specific EFs with the general psychopathology factor, in addition to distinct patterns of association with ASD, ADHD, and INT problems. CONCLUSIONS: By studying very diverse psychopathology domains simultaneously, we show how EF impairments cross diagnostic boundaries. In addition to this generic relation, ADHD, ASD, and INT symptomatology show separable profiles of EF impairments. Thus, inconsistent findings in the literature may be explained by substantial transdiagnostic EF impairments. Whether general EF or specific EFs are related to psychopathology needs to be further studied, as differences in fit between these models were small.